Using By Owner Oregon has been great and we recommend using them to anyone who has a home to sell and wants to save financially. Whenever I had questions all that was needed was to send an email to support and I had an email response or phone call right away. Greg was quick to help out with my photo uploading when I was struggling and when I wanted clear photos updated on Trulia and Zillow (memo: do NOT crop photos they will be blurry). It's been a really, really good experience working with byowneroregon.com. For owners who occupy their homes, this services saves a lot of money. We have successfully sold three homes by owner. Greg live lived up to all of my expectations and exceeded all of them. It was sometimes difficult to reach him on short notice, but he always got back to me within 1–2 days. His family associates were also very helpful he was not available. Highly recommended!!! I was nervous listing my home myself. Greg was so helpful and the process was unbelievably easy. Greg was very helpful and answered my questions promptly. ByOwnerOregon.com is a terrific service! They were quick to answer any questions I had, with regards to selling For Sale By Owner. They also provide all the documentation by download, that you will need to sell your home. I would definitely recommend them to anyone interested in selling their own home! Not to mention, I saved almost $9,000 that would have gone to real estate commissions! Service was excellent. Happy with the whole transaction. I will use this service for future real estate sales. The process was simple to use and great self-help website. ByOwnerOregon was extremely helpful during our sale process. They were quick to respond when we had questions. Thanks a bunch! Super easy site to assist in the sale of my home. ByOwnerOregon delivered just as advertised on their website making it so easy to list my house and get the word out to the MLS and all relevant websites. Their website gives clear, simple step by step instructions on how to take advantage of their services and Greg was available to answer questions on the few occasions when I needed extra guidance. I will never list a home with a real estate agent again! Realty Net met or exceeded all my expectations for a very reasonable cost. Greg Messick was responsive, expert in all areas, and patient/helpful with negotiations. Highly recommended! Good Software and email communications too. Great experience! Greg was very helpful before deciding to list our home in Bend with his service. If you're comfortable on the computer and have researched your market this service is a win-win. Having access to MLS and offering a commission to buyers agents was key to selling our home and receiving multiple offers within the first 5 days of listing. We would use this service again without a doubt! Very straight-forward and no-nonsense. This is not a huge national company that employs others to make your real estate listing live. Therefore, it is quick and you can easily get hold of them if problems arise. Yet they know what they are doing. A thorough reading of all the material on their website will provide the information you need to get your sale done. I highly recommend ByOwnerOregon.com if you are looking for a flat fee service for listing your home on the MLS in Oregon. We are so glad we found this service. We were nervous to not use a realtor but we are so happy we didn't. We saved so much! Everything you need to sell your home is right here at a very low price. I would recommend this to everyone. ByOwnerOregon.com was great in helping us to get our listing into the MLS system as well as all the online listing sites. We had tried to sell our home ourselves, then listed with a real estate agent. When that didn't work out we decided to go with ByOwnerOregon.com. It was very cost effective and saved us 3% of the selling fees when we sold our home. We would definitely use them again. If you have a bit of real estate savvy, this is a painless and professional way to expose your property to the national market. I would definitely do this again. By Owner Oregon is a great easy to use tool for those who like to be in full control of their sales and saves a lot of money in the process. Thank you. Property sold with no selling agent commission. Saved us a lot. By Owner Oregon was an excellent way to sell my house. The website was easy to use, with access to selling forms, and related information. Also, having direct contact with Greg was immensely helpful. I highly recommend this site! Process with Greg was very smooth. Once I had an offer that I accepted he pretty much did the rest. I just had to wait for the buyer's process, escrow, inspections, etc.. and then sign at closing. From list to accepted offer was about 6 weeks. Always a super easy process! Thank you By Owner Oregon! Great easy to use experience. I'm very happy that I used ByOwnerOregon.com and Greg Messick's knowledge and expertise to get our house listed in the MLS. Our traffic increased once we listed, and we saved thousands in commissions when the house sold. It's a great service and recommend others give it a try. Thanks! I received an offer within the first listing period (6 months). This offer fell through but I had another offer within the first two weeks of re-listing. I was not occupying the house but was able to communicate by phone with both unrepresented buyers and with buyers' agents. HOUSE SOLD within 6 months of listing! Great services and quick response to any requests. Greg is helpful and easy to work with. I have enjoyed using ByOwnerOregon. I would recommend selling a property by yourself with the help of By Owner Oregon. I have sold two other properties by myself in the past. This was a great way to get my listing in front of many buyers! Greg is very helpful and this is a great service. My listing received a lot of interest from different parties and sold before the other 3 listings which were listed at a sales price that was LESS than mine on a $/sq ft basis. They still haven't sold! I used the money I saved on selling commission to make cosmetic upgrades and pay a home stager. I still saved a lot of money versus listing my unit with a traditional listing agent. Thanks for everything! In a good seller's market, there is absolutely no need to use a realtor. Greg's website has all the information and detailed steps needed to go through the process of selling your home. Greg is also very accessible to talk and clarify things over the phone. I got multiple offers and saved a lot of money by listing through byowneroregon.com. Highly recommend Greg's services. Greg was extremely helpful and very knowledgable. I would use this website and company again. We were very pleased with the professional service that you provided. You answered all of our questions quickly and with a high level of expertise. This allowed us to try selling the house on our own with the confidence that you were there to back us up. Thank you for a successful positive experience. Appreciate that there is a way for FSBO listings to be part of the MLS service for a fair and reasonable cost - thanks for your help. The only way to go, I have used this service many times and will use it again. Saved about $4k this time. 100% customer service and very reachable with fast responses to questions and changes to the listing. This was a trouble free, easy and quick transaction. We had a full price offer within hours of the listing going live on MLS. The transaction was finalized and recorded in 30 days. Highly recommend ByOwnerOregon. Thanks for your prompt and professional service! I listed my house and had the selling offer two days later. Saved thousands. Easy listing process. Quick response. The user-friendly website for changes to your listing. Will use again! A comprehensive resource with very responsive customer service. I recommend ByOwnerOregon.com to anyone considering selling by owner. I listed my real property with ByOwnerOregon which was easy to do with their instructions. I had an offer which I accepted within a week. I saved over $15,000 on seller's agent real estate commission. I will recommend ByOwnerOregon to other prospective sellers. Using this service helped the sale of our home go smoothly and saved us a lot of money. We were very happy with it and would use this service again. If you want results and to save thousands of dollars, use ByOwnerOregon.com. I saved 20k by not listing my house at the standard 6% commission. I would use Greg and his team again without hesitation. By Owner Oregon was great to work with! If you want to sell your own home, the best way to get it out there is to advertise on ByOwnerOregon.com. I had numerous showings and two cash offers. This may not be the norm but it sure worked for me. Full price commission would have been $17,700. I paid the buying broker a 2% commission which totaled $5,900 saving me $11,800. That's money in the bank. I saved $16,000 dollars. Definitely will use this service again. We have used ByOwnerOregon.com several times selling our properties always with a successful ending and we always have 100 control of the process which we like. Very straight forward and easy to sell your house this way! Updates to the listing were easy to do and painless. Setting up the house for sale and dealing with other realtors, title company and the like as well as doing the paper work is easy. The buyer's realtor does the majority of the work and they usually use DocuSign these days and can send you a weblink that makes it easy for you to sign documents with little effort! Save yourself the agent's fee and sell it yourself! Great service! Very helpful stuff and seamless process. I would recommend anyone to use the flat fee MLS listing versus a listing agent. ByOwnerOregon.com was excellent. This has been a great process for us. We have passed the word to a few people. Thank you for providing this service. I saved thousands by paying a flat fee to list my house. My house sold within about 90 days. The secret is to list your house in the MLS, stage your house so that it shows nicely, price it properly, offer a reasonable commission to buyers agents, and it will sell. You don't need to pay thousands to a listing agent. Greg was very helpful with any questions we had..very smooth transaction. Good people to work with. They don't interfere with your sale just give advice. Greg was very good about answering questions. 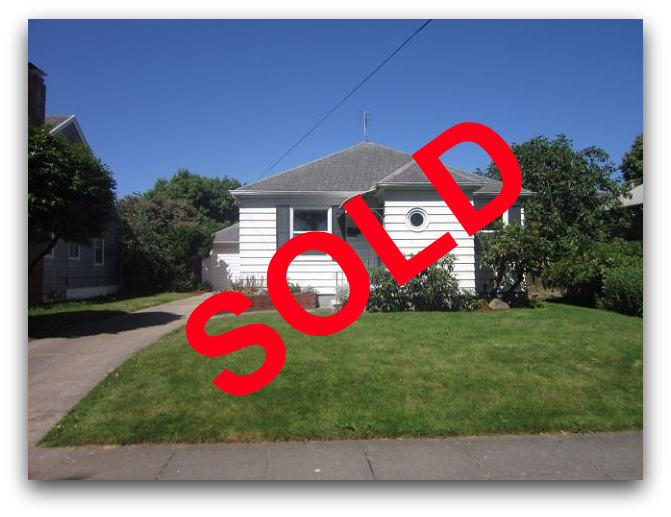 We are very happy with the sale of our home via ByOwnerOregon.com It saved us approximately $7,000. We had all the tools & support necessary for a successful transaction. The flat-fee MLS option worked well for us, and Greg's assistance was appreciated. Greg was always there to answer all my questions and provided the service agreed. We saved $11,000. Thanks again. ByOwnerOwner.com was a great way to get our house seen by potential buyers. They were easy to work with at a more than fair price. ByOwnerOregon.com worked perfectly for us. They are easy for any seller to use and we saved over $18,000 in commissions! We would use them again in a heartbeat. Thanks for making it so simple to market a house on MLS. Easy transaction and friendly folks who assisted. Excellent. This has been a great process for us. We have passed the word to a few people. Thank you for providing this service. I used Greg's direct selling fee-only MLS listing service. Also rented a new digital lock box, sign, and 1-800 number. The service was very good and we sold the home in 58 days. I could not have completed the process successfully without Greg's direct help and involvement. I called him several times and he personally answered the phone and addressed our questions every time. I credit Greg with our successful sale. He is very professional and without question I will use his service again and recommend him to my friends and family! Having never sold a home before my wife and I was fairly nervous about the paperwork involved. The 'ByOwnerOregon' process was straight forward and we didn't run into any surprises. Greg Messick is extremely responsive and helpful. I wouldn't hesitate to go this route again. This just a note of "Thanks" and to express my gratitude for your assistance in helping me to market and sell my home. Although there were a few minor glitches, most based upon my ineptitude in completing the descriptions and sending all the photos, I appreciate the timely response and actions taken to rectify all. It was always reassuring to know that when or if I had any questions or problems, your response and actions would be timely and complete. I would unhesitatingly choose "By Owner Oregon" if I ever have the need to list another property. I will be sure to tell my friends of your services and to recommend your company to them. Your fees are reasonable and, judging from my just completed sale, saved me a lot in realty fees. It was great to know that I had complete control as to how my property was listed and presented. You were there when I needed you, every step of the way. Again, a huge "Thank You". Working with ByOwnerOregon.com was great. They were super helpful and friendly. I would definitely use their services in the future! considering selling in the near future. ByOwner Oregon.com provided a listing for my home on the MLS which led to the successful sale of the home. They were very easy to work with and highly recommend their listing service. Greg made it easy and was very accommodating. Good communication throughout. We started out with just the flat fee MLS listing but had to upgrade our level of service when it came time to move and we hadn't sold yet. It was seamless. Beats the heck out of paying 6%! Working with By Owner Oregon was such a wise decision. We were able to sell our townhouse in 2 weeks time, with a competitive offer and ample interest. Buyer's agents responded positively to us…much more so than they had in the past with a traditional For Sale By Owner listing. Our listing received great exposure, and Greg and his team answered our many questions along the way. We would definitely use this service when selling a home in the future! "Everybody" said don't try to sell your house on your own! "Everybody" was wrong! Greg made it super easy and was always helpful. I'll never do it any other way. If I had another home to sell, I would list again in a heartbeat. Constructing my own ad was easy and constructive. I got to say exactly what I needed to in order to attract buyers to my property. Interestingly, the majority of responses to my ad were from local real estate agents. And it was so easy to change or add another detail or picture. Any concerns I may have had were responded to and acted upon almost instantaneously. What a great way to sell your home. We found the MLS agent, Greg Messick, very helpful and patient guiding us through the MLS process. Both buyers agents and buyers said they had seen our home on MLS before viewing. Easy to deal with. Answered all my questions with patience. Got the job done. Very helpful with questions, saved us over 6k. Our experience with ByOwnerOregon.com was outstanding. We had some leads when we signed up with another FSBO website but it wasn't until we signed up with ByOwnerOregon.com that the activity on house really picked up. We had no less than 15 calls from agents wanting to show our house to their clients, and those showings were with real buyers. The key was the two Open Houses we advertised through ByOwnerOregon.com. Both were well attended. The last Open House had approximately 12 attendees and from those, we actually received 3 offers. ByOwnerOregon.com saved us REAL money and was instrumental in selling our home. A definite 5 stars. 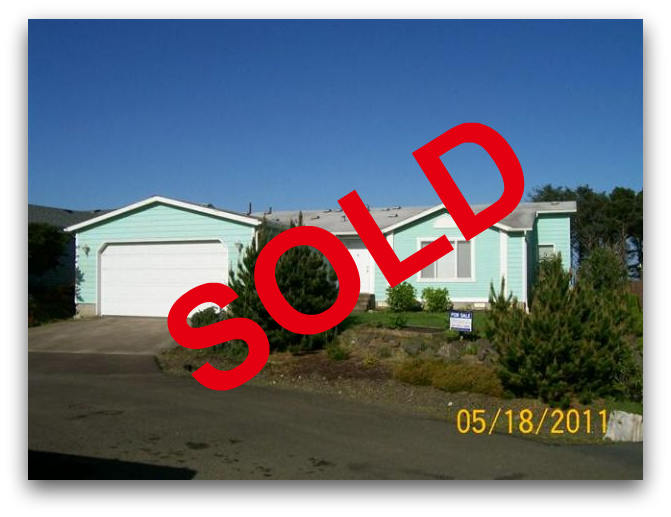 The process to get the MLS listing activated was easy and the By Owner Oregon personnel were very helpful throughout. Our property sold within a month as a result of the MLS listing. Great transaction, awesome support, although not much was needed. Great tool on the website. Thanks!!!! This service was easy to use and Greg was prompt and helpful with questions I had. 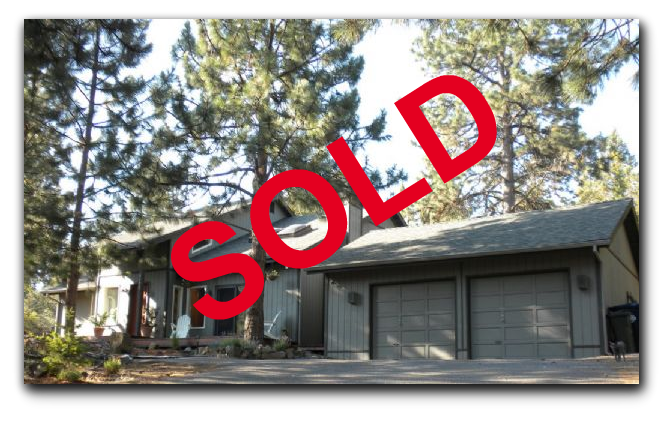 I sold my house in about 7 weeks and the MLS exposure was great to have as well as not paying a seller's commission. This process was quite simple and efficient. We placed a Courtesy to Brokers rate of 2.25% but had the opportunity to sell ourselves. Because the listing was posted on major multiple listing services, an agent brought us a valid pre-qualified buyer. We are very satisfied with ByOwnerOregon and their services. This has been a simple and straightforward process. We will use ByOwnerOregon for any home sales in the future. I had a realtor for 45 days and he did nothing to promote my property....I fired him. I put it on byowneroregon.com and received the tools I needed and sold my home in a week.... and I saved over $5,000.00 dollars. I would recommend using this website to anyone that is willing to do a little work and wants to save a lot of money. I have used ByOwnerOregon and Greg Messick on 3 homes that I listed for sale. Greg and his company provide excellent support and service and are always available to help and answer questions. I will use them again should I chose to sell another property. I'm so happy that this program gave me the tools to sell my house myself in a professional way that made the whole process manageable. We couldn't be more pleased with "For Sale By Owner" and Greg Messick. He was so helpful and answered all of our questions promptly and patiently. The entire experience was pleasant and I would use them again if we ever decide to sell. I worked with Greg as a limited representation agent and successfully sold my home in just 28 days (signed a Limited Full Service Agreement with Greg on April 23rd and closed escrow on May 21st). Greg was very helpful in understanding and navigating the overall process and he quickly responded to my emails and phone calls. Anyone thinking of selling FSBO would do well to contact Greg at ByOwnerOregon.com. It was an excellent overall experience and I will definitely use his services again. Many “Thanks” to Greg and his staff! I was more than a little apprehensive about selling my own house, but after some research, I decided to go ahead with it. We had offers on our house in less than a week after listing. There was a buyer's real estate agent involved, so we did pay his commission, but we still saved about $7000. Since the MLS reaches so many more potential buyers that a street sign, I think a buyers agent will often be involved. ByOwnerOregon.com is the only way to go, you can get the professional exposure you need, and save up to 100% on commissions! Even selling to a buyers broker, we saved 50% (and a lot fewer headaches to deal with). By Owner Oregon is HIGHLY RECOMMENDED, by this satisfied central Oregon customer! I would definitely recommend the By Owner Oregon sales process to anyone in this challenging real estate market. I recently relocated across the country and needed to sell my home quickly. The website provides you with all the forms required to close the deal. Greg's system works great! I Iiked the idea that I could speak directly with realtors & control the sales process while I was living in another state. By Owner Oregon, is the way to save, on the costs of selling your home. The owner and his excellent staff, do their job well, and they do it fast. You will sell your home, and can expect great exposure, and MLS accuracy, as well as status changes, to be done easily, online. We would highly recommend the packages offered by ByOwnerOregon.com for selling a home in Oregon! Without the use this website, I might not have sold my home and/or it would have taken a lot longer. We signed up with By Owner Oregon on a Monday. Our house appeared on the MLS about 10 AM the next day. We had four showings the first day and at 4:30 an agent called us with a clean full price offer. We saved $14,000. Greg and his team helps to get more exposure in RMLS and was always on top of things to help us get our place sold. Appreciate your support. We listed our home with Greg Messick on a Friday afternoon and received a full price offer on Sunday. The sale closed and we saved nearly $7,000 in commissions. Thank you for offering this service. I recommend this By Owner Oregon process to anyone. The website has all the information that you need in order to do this yourself, just read the entire website before you start. It will not take you that long and will save you a ton of money. I saved over $15,000 because the buyer also did not have a realtor and so I only had minimal fees. My home sold the second day on the MLS.....I was quite surprised! and of course very pleased. I will definitely sell my house this way again. It was so easy and I love that I got to be in charge of the entire process. I managed a bidding war on my property and boosted the price up another $20,000. I can't help but think that would not have happened if I wasn't in charge. Greg was extremely helpful and answered many of my questions. All around good experience. Great way to sell your home and pay no commission or only one commission if the buyer is represented by an agent. The caveat is that the seller must educate themselves somewhat on real estate contracts and local practices. By Oregon Owner was a great experience with an available web-based maintenance site that made the listing process easy. From selecting your package level to ordering signs, lock boxes, and updating the listing, photographs, & status, the on-line step by step process was simple to use. You are in control of the presentation, with all the necessary software tools to make it happen in a timely and professional manner. Representing ourselves as the seller's agent was extremely easy and saved us a significant amount of our home equity. We had 13 showings the first day listed and sold the house in 2 days. Greg and Ronel are great to work with! They are very helpful to a person selling their own home. The tools offered ByOwnerOregon.com are great as all the necessary forms and contracts are available for a person's use. They also provide articles and tips on selling your own home. The MLS listing ad was very professional and allowed me to create my own wording for the ad, which amazed me that my former realtor never thought about. Uploading photos was a breeze. Through our former realtor, we had two showings in almost a year. Going through ByOwnerOregon.com, we had four showings the day after our MLS listing went on-line. The following day (Saturday), we were informed we would be getting three offers and by Sunday, had a cash offer for more than our asking price. SOLD! The following week we still had realtors contacting me about the home and was the offer solid or would I accept other offers, etc. Don't let realtors fool you in that it is difficult to sell your own home, as it is not. Title companies do most of the work for you anyway. 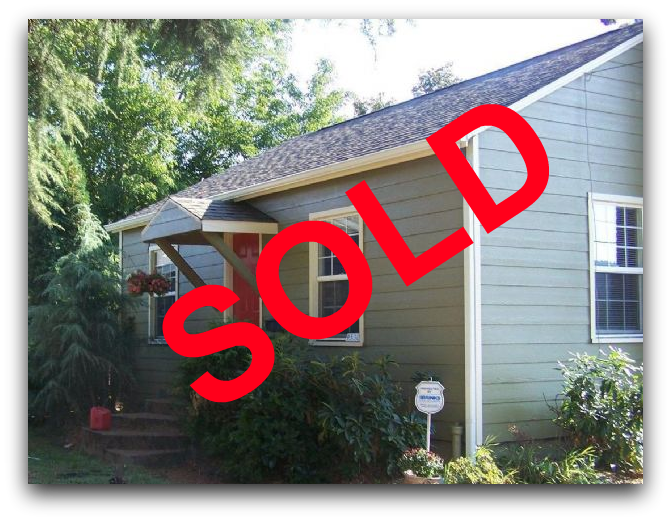 If you want to give selling your home on your own a try, I highly recommend ByOwnerOregon.com and working with Greg and Ronel. It has been the best experience I've ever had in this type of transaction. Just sold and closed on two properties with Greg. Got a ton of exposure in the MLS and Greg's systems and processes went very smoothly. Will use again and highly recommend to anyone who wants to utilize the power of the MLS while saving the Listing Agent commission. By Owner Oregon was simple and clear. After interviewing several Realtor's, we did our own comp analysis, using existing information on the Internet and decided that the Realtor's suggested sale price was below the value of the house, even in the distressed market. 1) A walk through the house; list repairs and improvements and get started on them. 2) Simplify (pack up stuff), stage and photograph the house. 3) List it with By Owner Oregon for 6 months. 4) Create a free web page with Google, showing greater detail; why the house was so special. 5) "Claim it" on Zillow.com and add more photos and information. The house was listed in the first week of July 2012 and received an offer by the 3rd week of July. It closed much later (mid October) due some issues with the buyers own home sale. We chose to have our lawyer look over the papers before we signed anything, which turned out to be well worth the $300 it took, and peace of mind. We sold it for nearly double the lowest Realtors estimate. Many thanks to By Owner Oregon. I worked with Greg as a limited representation agent and successfully sold my home FSBO in 2 months. ByOwnerOregon.com and Greg generated 95% of the traffic we received and our buyer. Greg was very helpful in navigating hiccups. He went above and beyond his responsibilities and quickly responded to changes in our ad's status during business hours and on occasion after them. Anyone thinking of selling FSBO would do well to contact Greg at ByOwnerOregon.com. Zillow.com alone doesn't generate enough traffic but is useful as a secondary tool. Comments: Excellent overall experience, our house sold very quickly and Greg was very responsive. Thanks! Comments: I had a very pleasant experience using ByOwnerOregon.com. The website was very efficient and provided clear directions to help finalize our the sale of our home. The response time and overall professionalism of the broker was impressive. I would highly recommend working with ByOwnerOregon.com to the D.I.Y. entrepreneur. Comments: Yes the market is slow. I tried FSBO on Craigslist for two years on and off then I found ByOwnerOregon.com. With the help of Greg and his website I had a showing every day and sold my house in less than two weeks. I used the electronic lock box option and it was well worth it. I received an e-mail notifying me every time someone showed my home. Did ByOwnerOregon.com. work? YES, it did... You will save thousands using ByOwnerOregon.com. (I did) This is a must for a FSBO hands down. Thank you for having your site and help. Comments: Hi Greg! Thank you, and thanks for providing your services :) It was SUPER-easy and I'm looking forward to referring more clients to your company. I know by now you have the update on our house at 4655 Sussex Court in Lincoln Beach listing #240638 as SOLD, yay! But I wanted to write and thank you for all your help in listing, updating, and getting our house sold. Comments: I was very satisfied with going with ByOwnerOregon.com. Greg Messick. They were very helpful, and I would use them again and/or recommend this company. It also helped me that my husband is a broker. Comments: Very easy for first time FSBO. They were responsive and very helpful all along the way. A great deal overall! Comments: Amazing service. Thank you again for all your help. Just excellent. Comments: Using the ByOwnerOregon.com website, we were able to take control of our own home sale, and save money in the process. The website was easy to use, and it was a smooth process to ask questions for any needed help. For those who take pride in the care of your home, this process allows you to take pride in the sale of your home as well. Comments: The service you provide has been the best way for me to sell a property. It gets listed on the local MLS and yet provides a way to save money by selling directly to a buyer. I like the flexibility of the method and it has proven effective for me. Comments: Greg and Ronel with ByOwnerOregon.com were just wonderful to work with through our sale. They really went the extra mile for me as I had a lot of changes to my listing through the process and they were very responsive and helpful with the whole listing process. I thought it was an incredible value for the service I received. In this market, it really helped to get a discount when we had to sell our house for such a discount. Thank you Greg and Ronel, you were great to work with! Comments: I recently closed the sale of my house in SE Portland using ByOwnerOregon's services. Although some people think real estate is complicated, the forms are pretty simple and Greg was always available for advice as needed. My buyer also did not use a traditional broker, so I saved over $20,000 on the transaction. I highly recommend this service. Comments: What I like about your program is the flexibility it provides. We wanted to sell our home quickly but didn't want the high cost of using a Realtor. Your service helped us accomplish our goals. We had a full price offer within a week of listing, which is unusual in the current market. Thank you so much! Comments: This program provided my home the exposure that it needed on the MLS system to get Realtors to bring clients by and ultimately led to the sale of my home during a very tough real estate market. Comments: We saved ourselves over $8000 with ByOwnerOregon.com. All the resources I needed were provided--full MLS listing, sign with flyer box, and all necessary forms. I felt like I had complete control of my listing and showings. When we sell our Client house, we'll definitely be doing it this way again. Comments: It was a pleasure working with ByOwnerOregon.com. I was able to save enough on commission costs to be able to buy Client flooring for my next home! The process was simple and easy to understand if you're willing to do the leg work. If you're savvy and organized, I would recommend this as a cost effective way to sell your home. Comments: We sold our home in less than two months and got what we wanted for it! We saved over $6,000 in fees we would have paid to a Realtor and the only extra work I had to do was to come home from work a few times to show it! All you need in this Internet age to sell your house is an MLS number, a few good pictures and a great description of your house, and ByOwnerOregon.com! It's a no-brainer; I will never pay another real estate agent again! Comments: I had my house on the market for 3 months and it did not sell. I listed it with ByOwnerOregon.com under their silver package and reduced the price by my agent's commission and had several offers with in 2 weeks. Now my house is sold and because the buyer had no agent I got more cash in pocket than I would have if my agent had sold it even though I lowered the price. I would recommend trying if you don't sell you can always hire a full-service agent latter on. The cost is really minimal compared to what you will pay a full-service agent. Comments: Accepted an offer in 3 days! Click here to see listing! Comments: Flat Fee MLS is the only way to go. We had our house listed with a Realtor and they did a poor job describing our property and bringing in potential buyers. Needless to say, we terminated our contract and set off to sell it ourselves. After trying for nearly a year on our own, we got a little more traffic and a few people interested but nothing concrete. I had heard of paying a flat fee to have our property listed on MLS and still be able to do a FSBO. I came upon this site and signed up immediately. The website was easy to navigate and when I had questions, my calls were returned very quickly. Once we were listed on MLS, we were showing our house 2-3 times per week until it sold and it only took 3 months! We had to pay a commission to our buyer's agent but we still saved about $3000 or more because we were able to sell it more quickly without dealing with a listing agent. Thank you so much for this site. We will be back for sure the next time we need to sell. Comments: It was great, not only we saved the listing cost, but the selling cost. The buyer saw us on the Internet and came to us alone. He told us that he didn't believe in having Realtors driving him around. Thanks. Comments: I would definitely recommend By Owner Oregon to anyone. Greg made it really easy and always responded to my questions and emails right away. Made the whole process a lot easier! Comments: All the tools I needed to sell my house without the exorbitant fees of a Realtor! I made changes to my listing as needed and sold the house in a reasonable amount of time. I would definitely use them again to sell a property. Comments: ByOwnerOregon.com was easy to work with and did a great job! We would definitely use them again. I am surprised that more real estate agencies aren't going this route for selling properties. Comments: I sold my house in three weeks! I am a beginner computer user and Greg helped me through the process. I would do it again in a heartbeat. I saved a lot of money by avoiding Realtor fees. Comments: I'd recommend By Owner Oregon to anyone selling a house. Even in this difficult market, we found success selling ourselves. The team was responsive and great to work with. Comments: We heard about ByOwnerOregon.com from a friend. We listed and sold our house in 25 days! Greg Messick and team provided the necessary tools and support that we needed to sell our own home. Excellent communication and very patient with Client sellers. A must if you want to sell your home by owner. Comments: Great service. I sold for full asking price which was quite a feat in this real estate market. I would recommend to anyone who likes to save some money. Comments: We were nervous about selling our home on our own, specially in such a tough market, but we had to because we couldn't afford to pay a 6% commission. We sold our home in a little over a month. The service we received on ByOwnerOregon.com made it easy to sell our home. I would recommend them to anyone. Comments: The folks at ByOwnerOregon.com did a great job helping us sell our property. We had put the place up completely by owner, offering a courtesy to Broker, and got very few calls and inquiries. A week later, we listed it via ByOwnerOregon.com with a low flat fee and immediately had 20+ showings in three days, and our full price buyer made an offer the third day. This is in a "Buyer's Market" with average market times over 50+ days. Greg Messick was extremely helpful and very responsive to our e-mailed questions about how the process works. The website they helped us create was beautiful, and being listed in the MLS made all the difference in this challenging market. If we ever have to sell another house, we'll be sure to use ByOwnerOregon.com again! Comments: I would recommend your program to anyone who feels he or she can market their home themselves. There is no reason to pay a listing agent 3% for putting a sign in your yard. Most buyers come from your sign or another realty firm. With by ByOwnerOregon.com.com you get a professional sign, lock box and listing in the MLS service for 1 year for a set fee. Comments: Your firm was very helpful. I would definitely use your flat fee listing service again and will recommend you to anyone who wants to sell their own house. Comments: Hi Greg, Your listing of our home was just what we needed to get qualified buyers interested and looking. We sold our home in two weeks after the listing and had a showing at least once a day and sometimes more... Bill and I definitely recommend your services. Thanks so much ! Comments: I was able to sell my home quickly. This is a great service for someone who is comfortable doing the leg work and negotiating themselves. Comments: Greg's company did exactly what it said it would do. They listed my home on several websites, including the RMLS site. They listed the property on a timely basis and everything in the listing was exactly as I had indicated on the input sheet. Greg's website to develop a home sale flyer was also very helpful. Greg and his office were responsive. When I called or emailed, they got back to me in short order. Good job. We accepted an offer on our home within 20 days after it was listed. Comments: My fiancee and I both used your service to sell our homes. It was real easy as long as you took the initiative to market your home yourself. For my home, I advertised online on the website and also put ads in the Saturday paper for Sunday open houses etc. My fiancee's house...We marketed similarly...Her house was more attractive and hence we had a lot of traffic...I was pretty up front during the open houses that I was not a Realtor but a personal representative. things went well...My fiancee got more than she was asking... We did deal with a Realtor and hence paid a commission but it was well worth it. I would recommend this service for people that are comfortable dealing with people, and who are willing to take the initiative to do it on your own. We saved about $16,000 total. Comments: After doing a lot of research I found that ByOwnerOregon.com.com provided the best value. Our home sold in about 2 months after listing and this service saved us $6500 in Realtor fees and provided the potential to save even more if someone approached us without representation. I would recommend this service and use it again! Comments: It was a great experience and I don’t think we’ll ever sell with a traditional Realtor again! Comments: You guys were great to work with. Comments: We sold our house ourselves within a month of listing it with the help of ByOwnerOregon.com. They were pretty helpful with forms and the basic steps in completing the transaction. We appreciated being listed on the MLS site as well as others. Comments: Anytime I had a question or problem, I was given prompt answers/help. Thank you for this service. Comments: I have used the services of ByOwnerOregon.com.com several times in the past year. I have been able to save money, sell quickly and receive assistance with paperwork as needed. What a great program!